I can’t believe I’ve been participating in the Secret Recipe Club for 9 months! Wow…time is flying by! This month I was assigned the blog, ButterYum. Patricia has some amazing recipes and I had a hard time narrowing down what I wanted to make. Ironically before I was assigned her blog for this month’s assignment, I made her Roasted Cauliflower and onions recipe. It was delicious and when I read the assignment email, I knew I couldn’t go wrong with any recipe I selected. I originally wanted to make the To Die for Banana Cake, but never had overripe bananas. I know I’m always finding myself with overripe bananas but the one time I wanted them, I didn’t have any! Onto the recipe that I did selected….healthier corn muffins. I’ve never made corn muffins before, I’m not really sure why, but now that I know how easy and tasty they are…I’ll be making them often. My daughter loves corn dogs, so I thought why not incorporate the two together and be able to give her something different and unique for lunch! She loves them and they were perfect for lunch and it impressed her teachers. In a small bowl, combine the water, applesauce, egg and melted butter. In a large bowl, whisk together the dry ingredients. Add the wet ingredients and stir until combined. Fill the muffin cups about 3/4 full. Press a hot piece into the center. Bake for 15 to 18 minutes or until muffins are cooked through. I've made these and they were wonderful! I love your pictures! I love that you added hot dogs, what a great idea! This is such a cute idea. My grandkids will love them. what a great alternative to deep-fried corn dogs, and they're portable as well. 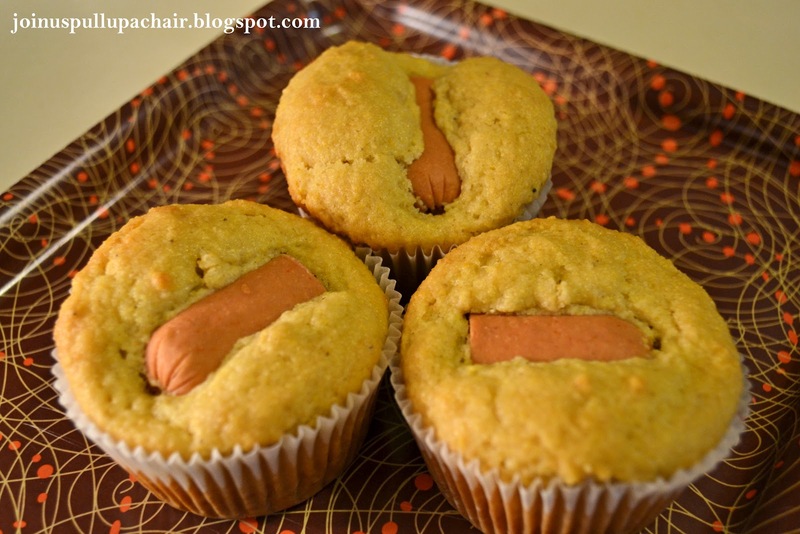 I've seen corn dog muffins on Pinterest and have been wanting to make them. Sounds like a great corn muffin, especially with the applesauce. Mmm I have made something similar before and my husband and I both loved them. Great choice for the SRC post! My husband would adore these and I love the apple sauce in the recipe. Your post for SRC looks great, I just love Corn Dog's and this is a healthier recipe. Your Taco Soup in the previous post also looks awesome. I am so sorry that you were an Orphan with SRC this month. Hope the rest of the week gets better! What a fabulous idea! My 2 and 4 yr old grand kids will LOVE this! As will their mom and Aunt Jeni. Heck, we all love corn dogs in our family. These are going to have a place on my next family menu for sure! Great SRC pick! One of my favorite foods in all the world is corn dogs, but trying to figure out how to dip and fry them at home is a challenge. I LOVE this much simpler method!! Thanks for sharing this great SRC choice!! 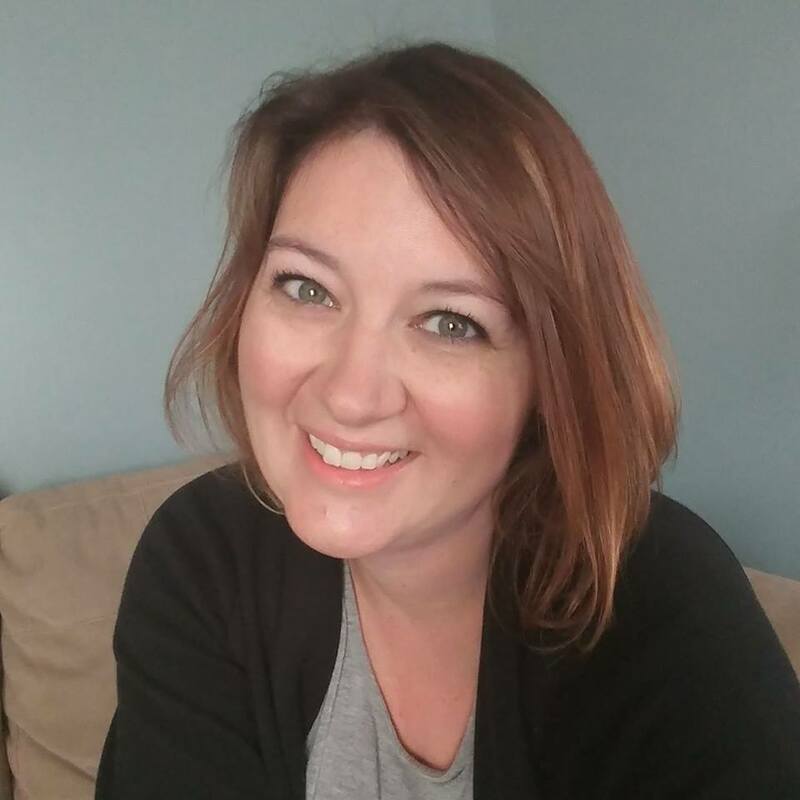 Hi Heather – I love that you added hotdogs – Great idea! My teens would devour them! So glad you liked the roasted cauliflower too :). PS – do try the banana cake when you get a chance. I tell you, it has a cult following! Crazy good stuff. What cute little muffins. I bet kids would go crazy for these.